Well done to Georgia, Year 6 and Holly, Year 5 who both won the Tesco Design a poster competition. Local Primary School children were invited to take part in a design a poster competition to be made into a calendar that will be given away free at the store. 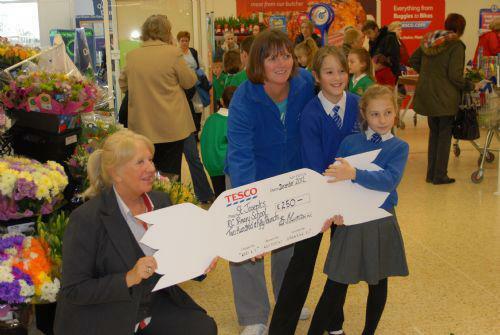 The After School Club recieved a £250 donation from Tesco and the children won a £25 Tesco gift card each.